Fulham boss Roy Hodgson has again insisted the club are in no rush to hand Jimmy Bullard a new contract. Fulham have long insisted that they are not desperate to tie down Bullard to a new deal, given he has two years left on his current contract. 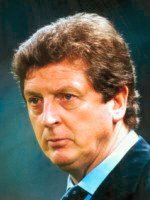 Hodgson also revealed that, following Bullard's recent call-up to the England squad, his agent immediately requested a new and improved deal. "When Jimmy made the England squad his agent was very quick, as agents are, to fly forward and say 'my boy is in the squad - I want to tear up that contract and renegotiate'," said Hodgson. "But the club wasn't keen to do it, and I've got to say that I'm on the side of the club in this economic time. "It's very difficult to predict what will happen four years down the line at the moment. "We've got a player; we were asked by the chief executive to hold fire and assess it - and I've got to say that as far as Jimmy is concerned, it's not been a topic of discussion between us. "We've got quite a few players with contracts running out in two years' time. "The club's policy has been, 'let's look at it when the time comes'." "If it was a case of 'we'll give him a contract and we were 100 per cent certain he'd be our player for four years' then we would - but that's not the case," he said. "Another club comes in a week later for a player, and then they want to leave. It's very difficult for clubs. "Look at (Fulham great) Johnny Haynes - there can't have been too many clubs who didn't want to sign him, but he spent his whole career at Fulham. "Things were different in those days. If Johnny said 'I'd like to extend my two years to five' there'd be no hesitation - but these days, they get a new contract and they're on their way. "I've got to be content that this squad of players at the moment are under contract. "No one's contract is running out. I can count on them, and we will see what happens. "We might have to sell one because the offer is too good, but you take that problem when it comes."